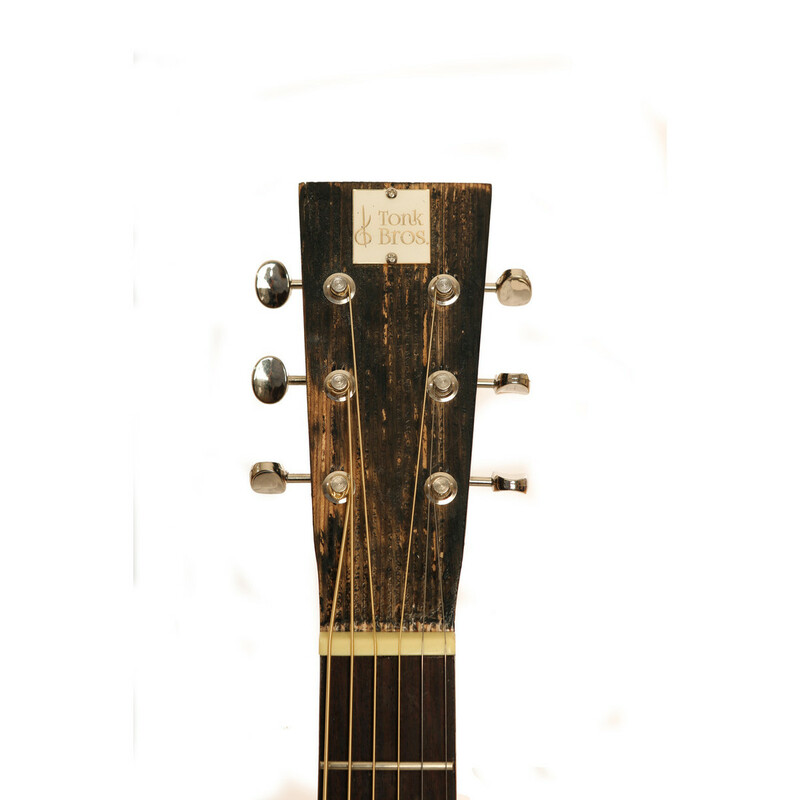 The Nineboys Tonk Boys Parlour Acoustic Guitar is inspired by small bodied, classic American instruments that are highly sought after today. The Birch body is in keeping with many early folk instruments, producing a solid, bright tone with excellent stability. The Tonk Bros' trashed black design and hand finishing makes it a guitar to turn heads for all the right reasons. 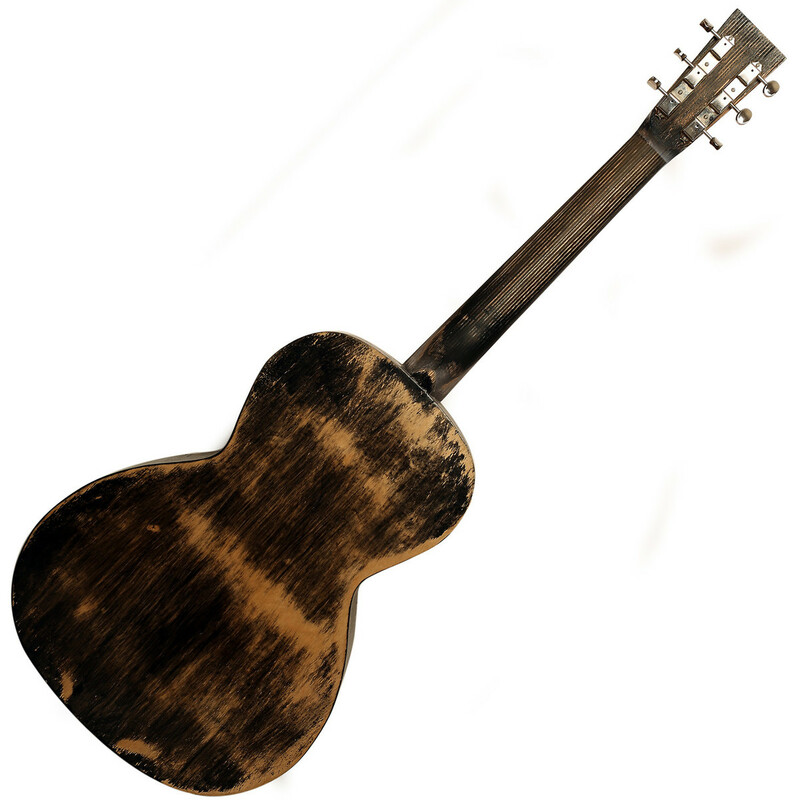 Nineboys aims to provide authentic acoustic guitars that herald to instruments of the early 1900s. Each guitar is hand built and hand finished for a truly unique product each time. The instruments are inspired by early blues guitars from America, and are crafted using the same woods as the originals for the most realistic tone. 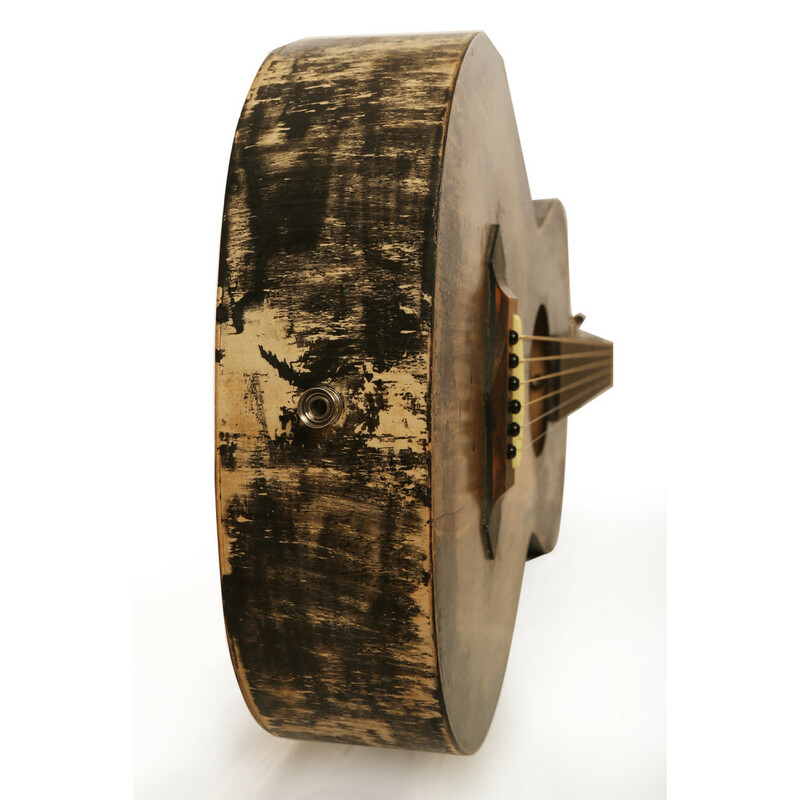 The Tonk Bros' parlor size produces a bright sound with emphasised high frequencies. 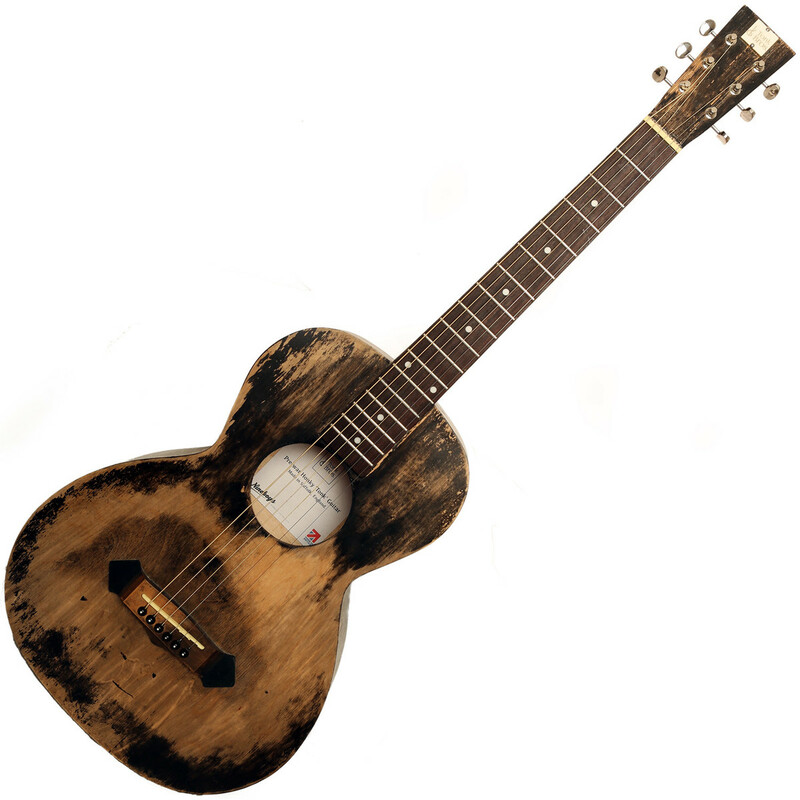 For fans of blues, country and a vintage sound, the Nineboys guitars are an ideal choice.